Ecoair Corp. is a market-oriented innovator in alternator technology and has performed contract research for other major companies. In 2000 this experience led to the production of its own unique alternator. 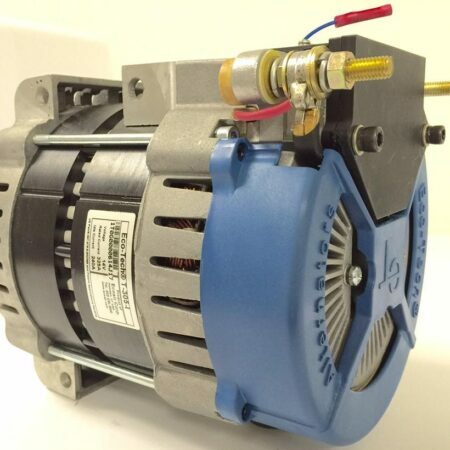 Using the brand name Eco-Tech, Ecoair invented, developed and marketed its patented low RPM alternator that has the unique features of high output at idle and unmatched alternator efficiency. Why use Eco-Tech High Output Alternators? Eco-Tech Alternators satisfy most vehicles’ electrical loads at engine idle without a voltage decrease while also improving fuel economy. Saves costs by both eliminating high idle systems and by supplying the high output electric power needed by vehicles that perform their missions while at low engine RPM’s, such as diesel powered military boats; fire trucks; ambulances; utility company bucket trucks; school, shuttle and party buses; commercial fishing boats and refuse collection trucks. The typical efficiency of conventional alternators ranges from 45 to 55% as compared to 80% peak efficiency for Eco-Tech Alternators. Eco-Tech Alternators are operating in diesel powered military boats; fire trucks; ambulances; utility company bucket trucks; school, shuttle and party buses; commercial fishing boats, and other applications with significant operating time at low engine speeds when high output is important. A regular car, truck, or SUV used for driving requires a regular alternator, and its job is to provide power to the electrical system, and to keep its battery charged. For these types of vehicles, a low RPM alternator does not make a significant difference, unless additional electrical accessories has been added to the vehicle. In heavy duty vehicles, however, heavy duty alternators are often used because these types of vehicles require a significant amount of power while they are at idle. Think of ambulances, fire engines, utility trucks, and school or shuttle buses. Heavy duty alternators in these types of vehicles typically run at high RPM because of the need for a greater amount of electrical power. So why is this a problem? A high RPM alternator increases engine wear, uses more fuel, and causes a larger amount of exhaust emissions. These high RPM alternators also excessively drain the battery, especially if the engine is in idle for a long period of time. 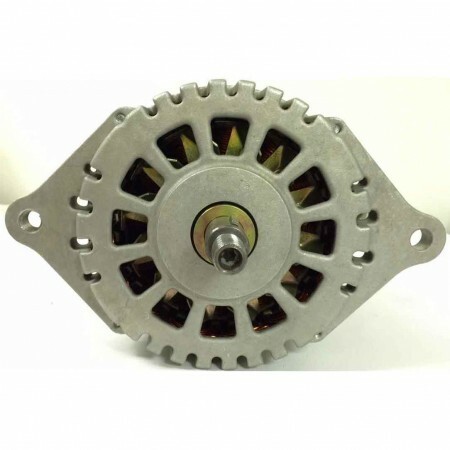 The irony is that heavy duty alternator customers can experience less electrical output at low RPM’s with higher rated alternators because the rating is shown only at high RPM’s. The quoted high output is achieved at high RPM, leaving the operators and mechanics responsible for emergency and utility vehicles without the high output at idle they really need. So what can a low RPM alternator do? 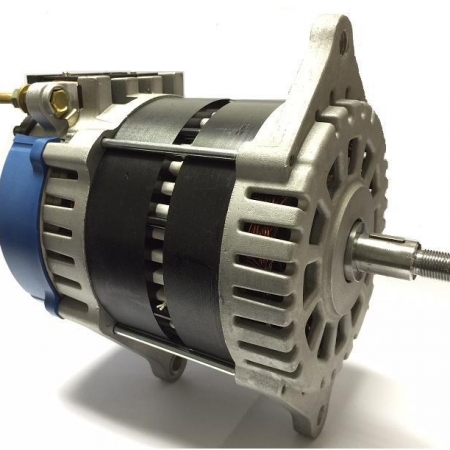 A low RPM alternator, such as the ones available from Eco-Tech, supply the needed electrical power for these types of heavy duty and emergency vehicles, without excessively revving the engine to achieve these results. Therefore, engines last longer, batteries last longer, and they’re safer for the environment. To learn more about how low RPM alternators can lighten the load on your heavy duty vehicle, contact Eco-Tech today by phone at (203)230-3000, or by filling out the Web form on our Contact Us page. Innovative and efficient technology allows all of the alternators available from Eco-Tech to run at a lower speed and lower RPM, while remaining more powerful than competitors, achieving a high amp output. For example, the Eco-Tech 305-I alternator runs at approximately 1,800 RPM while still delivering 260 Amperes of power. Competitors’ alternators require the alternator to run at close to 2,000 to generate the same amount of electrical power. Eco-Tech uses special technology with permanent magnets to help achieve a low-speed, high-amp output. Why is this particularly useful? An alternator that runs at a lower speed helps with operating costs when used in a heavy duty vehicle. Fuel costs can be slashed considerably. Up to 50 percent less engine drag is used with an Eco-Tech alternator, extending the life of the alternator in addition to reducing toxic emissions and saving on fuel. Using a low-speed, high-amp alternator also eliminates the need for multiple battery packs or switches and high idle devices. 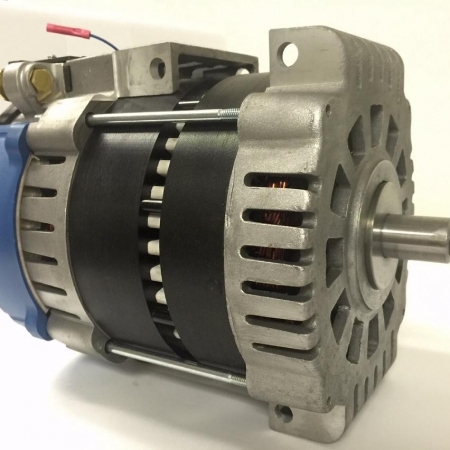 This type of alternator extends the life of many components in a heavy-duty vehicle, namely the alternator, but also the engine and battery. 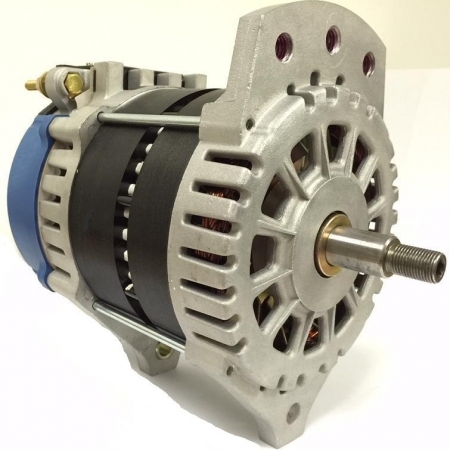 Engines do not have to run at high idle to produce the same amount of electrical power when a low RPM alternator is used, and this type of alternator also eliminates deep discharge cycling. 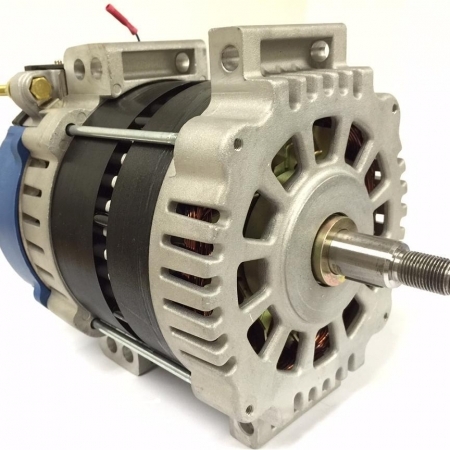 To learn more about how a low-speed, high-amp alternator from Eco-Tech can help improve your operating costs and fuel efficiency, give us a call at (203)230-3000, or fill out the Web form on the Contact Us page of our website. A heavy duty vehicle, such as those used for emergency services or for utility repair, still consume a hefty amount of electrical power while the engine idles. These vehicles can sit at idle for lengthy periods, whether a repairman is fixing a telephone pole, or an ambulance is at the scene of an emergency situation. 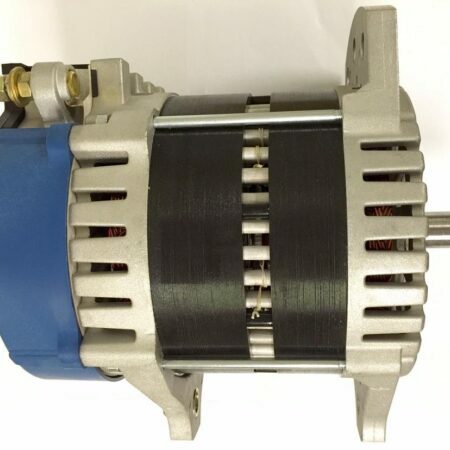 Normal heavy-duty alternators cause the engine to idle at a higher rate during these times, to maintain the high electrical output needed for these vehicles. A low-idle, low-RPM alternator from Eco-Tech, however, uses less RPM and runs at a lower idle, so that operating and fuel costs are significantly slashed. Fundamentally, low RPM alternators from Eco-Tech save significantly on fuel costs. Because the engine does not have to remain at high idle, up to 50 percent less engine drag is used, thereby using less fuel and lowering exhaust emissions and noise. In addition to saving on fuel costs, which a company can see instant savings on, this also extends the life of the engine, lowering repair and replacement bills. 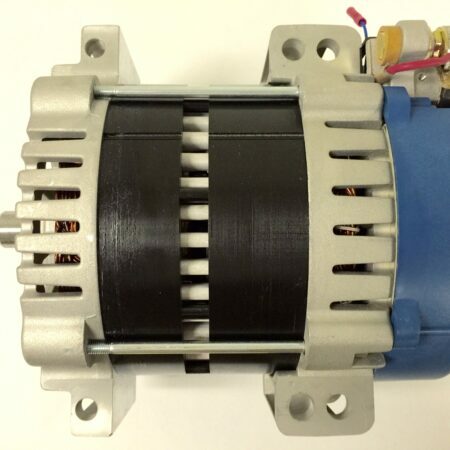 These low-RPM alternators also completely eliminate the need for load shedding devices, multiple battery packs and switches, and high idle devices. These powerful alternators also extend battery life by getting rid of deep discharge battery cycles that cause a battery to wear out much more quickly. To learn more about how to increase an alternator’s efficiency by using a low-idle, low RPM alternator, contact Eco-Tech today by calling (203)230-3000, or by submitting the Web form on the Contact Us page of our website.